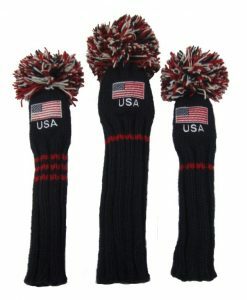 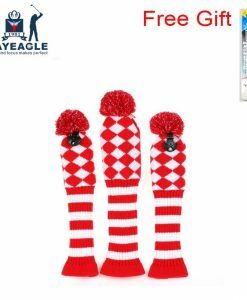 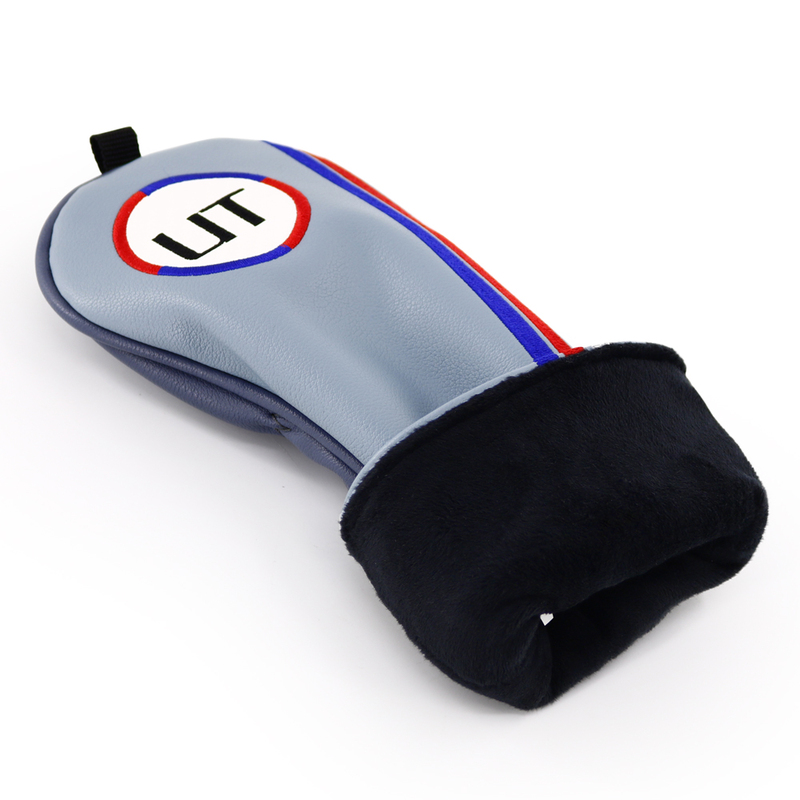 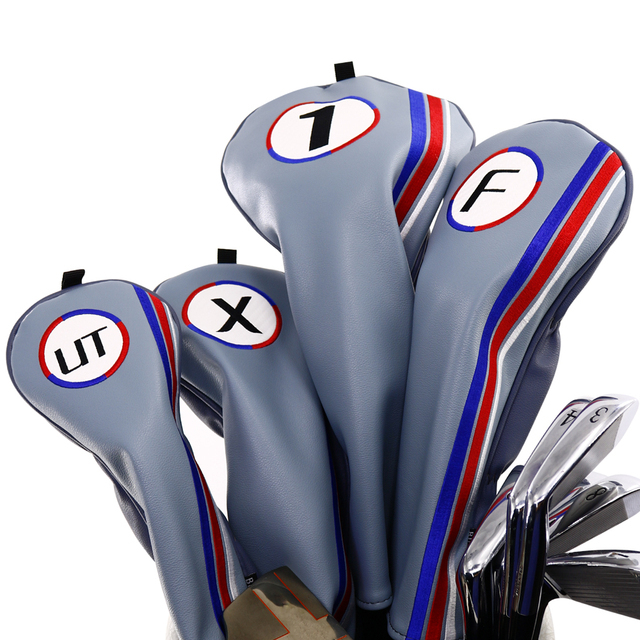 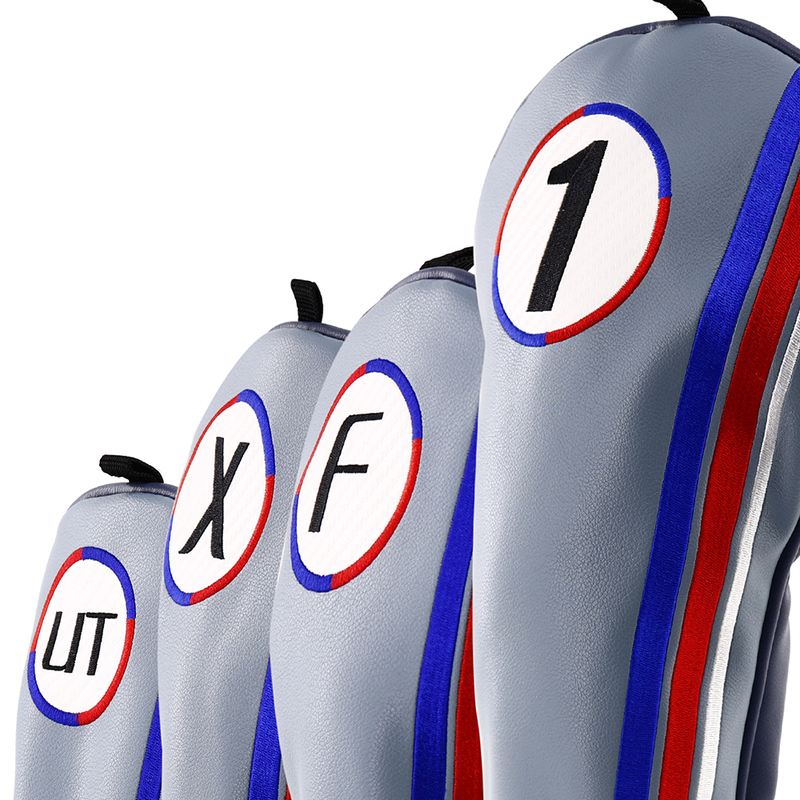 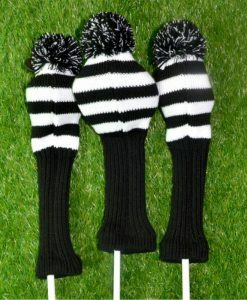 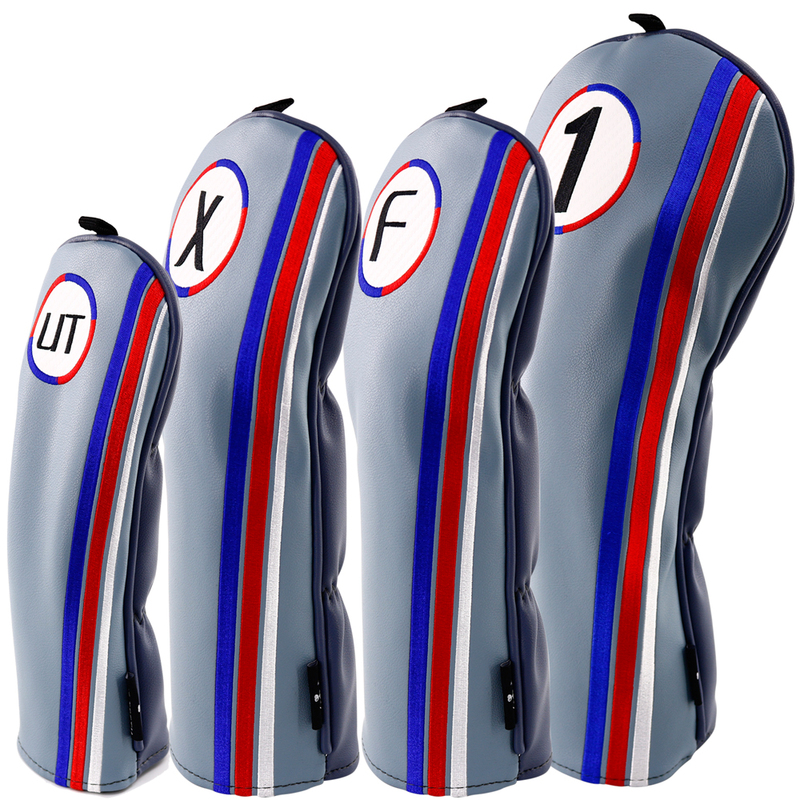 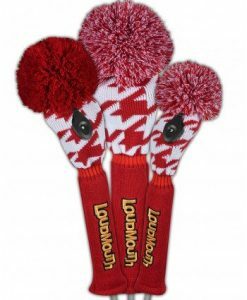 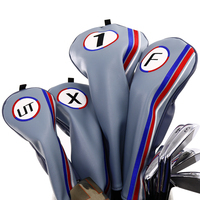 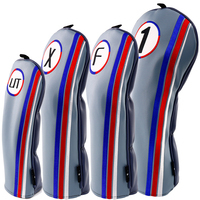 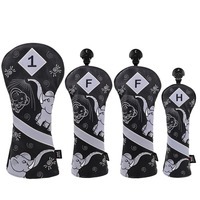 Craftsman Gray Golf Headcovers made of Dura-Leather with blue, red and white accent stripes. 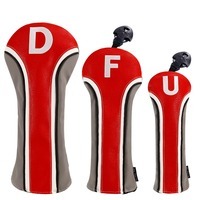 Available in sets or individually. Driver accommodates clubs up to 460cc. 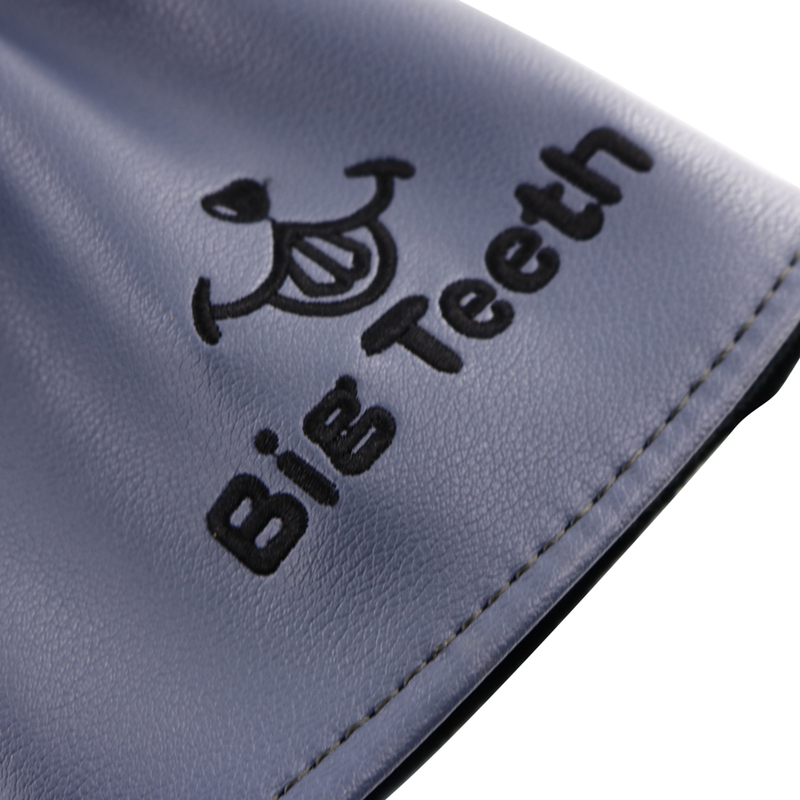 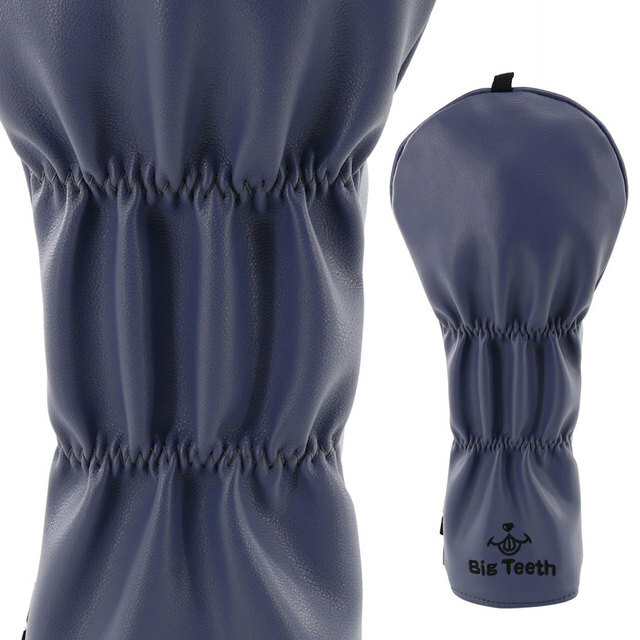 Double waistband and soft lining makes for a secure and safe fit.